Daiichi Sankyo and Forest Laboratories are seeking to centralize proceedings in the Benicar cases currently floating around the New Jersey state court system. In doing so, they are looking to consolidate their cases in a manner similar to multidistrict litigation (MDL) in the federal courts. 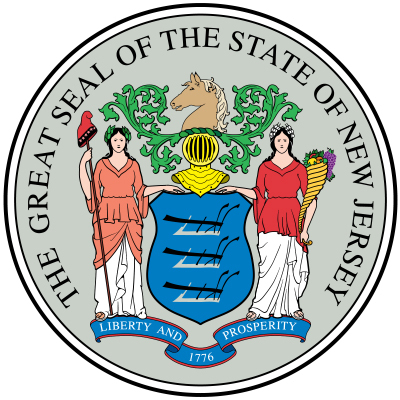 Last week, the acting administrator of the New Jersey courts issued a notice to the state bar, indicating that Daiichi Sankyo and Forest Laboratories (manufacturers of the drug Benicar) filed an application with the New Jersey Supreme Court. This application requested that all product liability claims involving Benicar, filed in the state of New Jersey, be consolidated as “Multi-County Litigation” (MCL). The manufacturers further requested that other suits involving drugs that contain Olmesartan Medoxomil be consolidated as part of the MCL as well. Over the past year, people throughout the United States have filed Benicar claims, alleging that the manufacturers of the drug withheld warnings about side effects such as diarrhea and abdominal pain. The big problem with these side effects is that they might not even crop up until months or years after the first use of the drug. This being the case, many, if not most, plaintiffs complain that they experienced issues with Benicar over long stretches of time. The good news is that symptoms tend to settle down when patients are no longer on the drug, but the damage already done is often severe. The side effects of Benicar can lead to erosion of the intestines, leaving patients with food intolerance, malnutrition, and complications that mimic Celiac disease. Benicar lawsuits have made their way into the federal courts as well. A New Jersey federal judge consolidated pretrial proceedings in the various Benicar cases that were filed throughout the U.S. Judge Robert Kugler is currently in command of the federal litigation, meaning he will set the schedule for consolidated discovery and “bellwether” trials. At the end of the day, Daiichi Sankyo and Forest Laboratories are going to be dealing with thousands of these complaints, not just in New Jersey but across the U.S. In both federal and state litigation, the parties will go through coordinated discovery and pre-trial proceedings. Afterwards, “bellwhether trials” will allow attorneys from both sides to gauge how juries react to these cases. This often helps the parties determine the appropriate settlement value. Obviously, this is the preferred route for both the plaintiffs and defendants (provided that the price is right), so this MCL should (hopefully) speed this process along. If you have been hurt by Benicar or another olmesartan-based blood pressure drug, you should be talking to a lawyer to better understand your options. Call us today at 800.553.8082, on reach out to us online here.